Elections in Northern Ireland have long been unique in their political and constitutional magnitude, the melodramatic nature of the campaigns and the consequences of their outcomes. This book provides an overview of elections in Northern Ireland since the early twentieth century and the ways in which they were reported in the Belfast press. Elections in Northern Ireland have long been unique in their political and constitutional magnitude, the melodramatic nature of their accompanying campaigns and the long-lasting consequences of their outcomes. This was especially the case during periods of communal strife and threats of constitutional or political change. 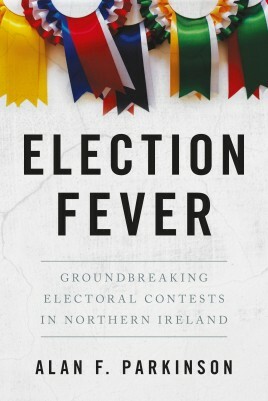 Election Fever provides an overview of elections in Northern Ireland since the early twentieth century, but mainly focuses on eight contests, outlining their political context and the ways in which the elections were reported in the Belfast press. The contrasting coverage of the Belfast Telegraph and the Irish News - their editorial comments, choice of stories and reports on speeches by a host of fascinating political personalities - is an important element of this study. The book also explains certain shifts within the political positioning and standing of both unionist and nationalist/republican parties, as well as providing snapshots of Northern Ireland's highly distinctive style of electioneering.